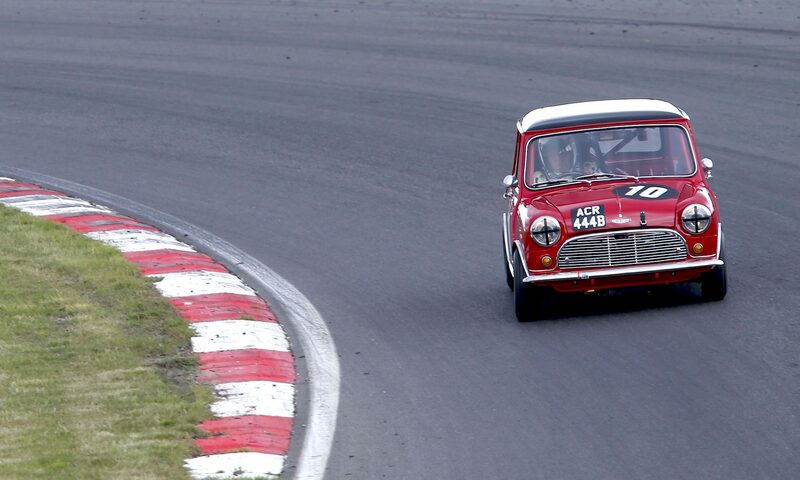 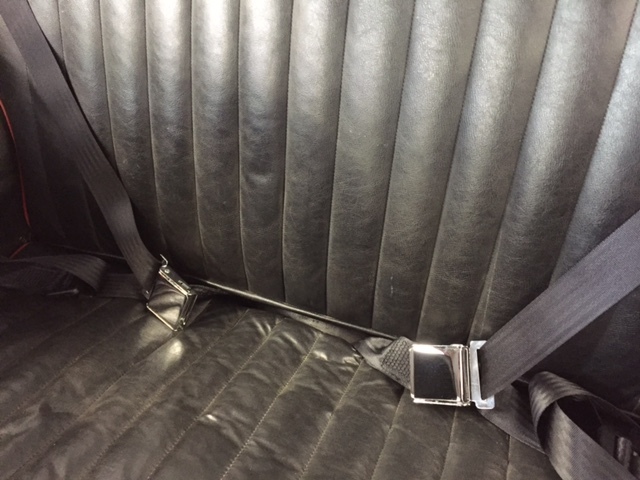 We’ve installed a set of black classic seat belts with chrome buckles in the Austin A40. 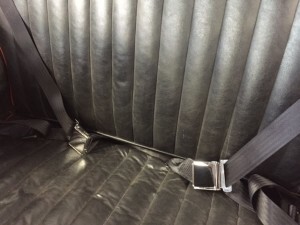 Obviously these cars never had seat belts but for those who want them this setup is quite discreet and looks far better than the clunky plastic fittings of a modern system. 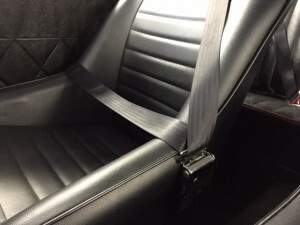 The front belts are inertia reel with static belts in the rear. 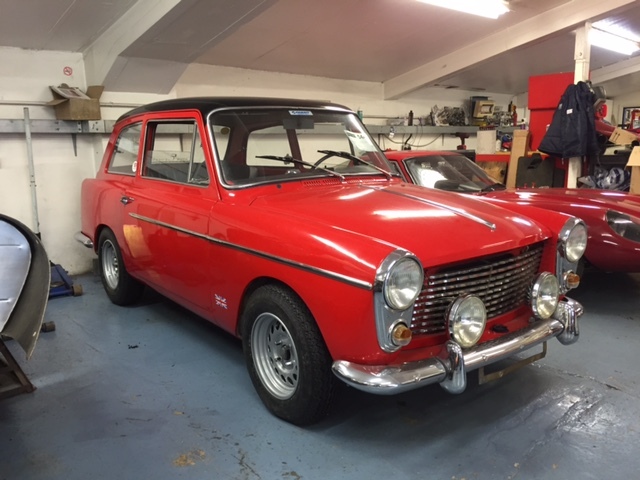 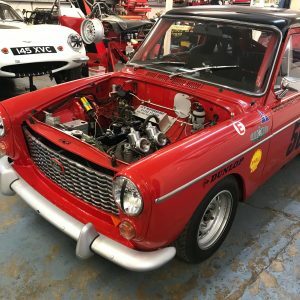 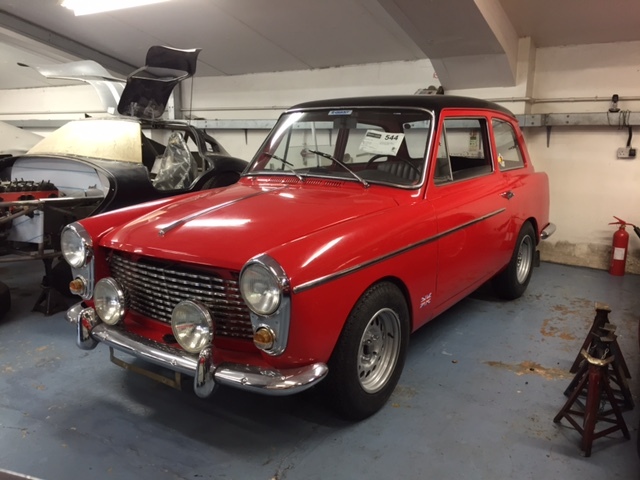 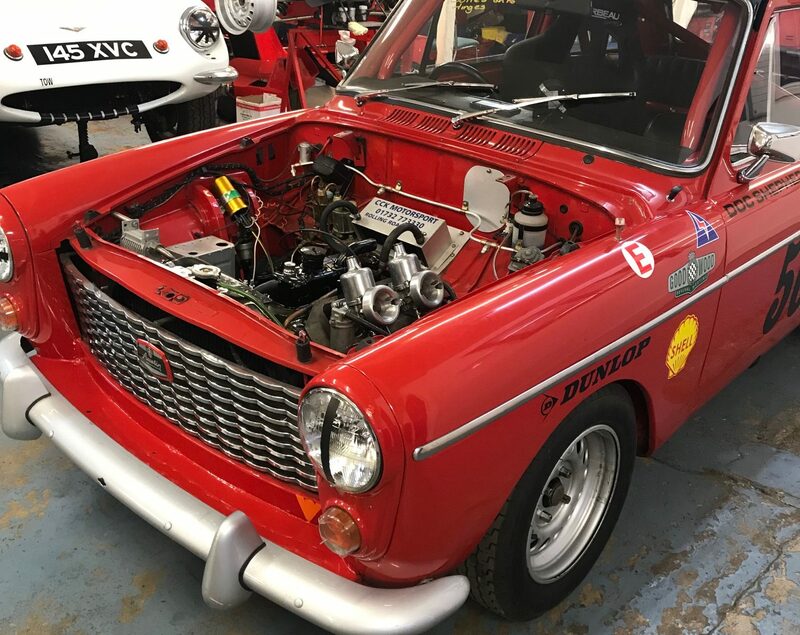 The 1293cc fast road Austin A40 is finally sitting on it’s 13″ Weller Wheels shod with period Dunlop SP rubber. 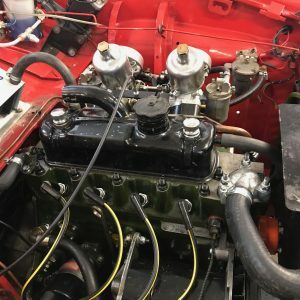 We have a few little jobs to finish before this car is running. 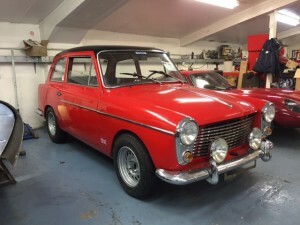 It will then be tuned on the rolling road and sent for an MOT.